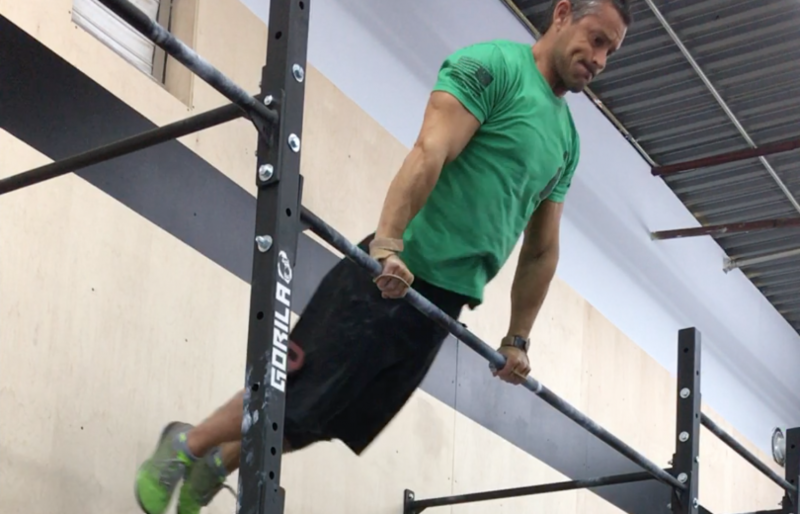 What if one simple shift could take you from struggling with Bar Muscle Ups to being able to turn them over almost at hip height? Most people I see struggling with Bar Muscle Ups don’t lack strength. 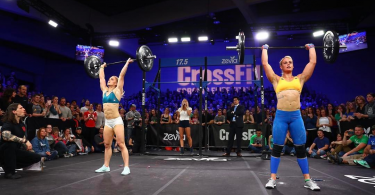 They’ve worked through kipping pull ups and chest to bar. They’ve got plenty of zip in their kip. Yet still they end up spending more time thumping their their ribs against the bar than smoothly turning over and pressing out on top of it. However it’s the second phase of the kip that throws most folks off… because it’s a bit counter-intuitive. You actually have to think about actively projecting your feet DOWN towards the floor in this second phase. Take a look at this side-by-side illustration. In one example the second phase of my kip continues in an upward direction. And in the other I actively send my feet downwards in the second phase of the kip. There’s a caveat though… you MUST maintain tension in your core for this to work. The force you create in your kip has to be translated through your midsection. If you don’t stay tight you lose that force and it just skips out into the universe rather than propelling you around the bar. Yes there are definitely more ways than I described. I should of said that. I guess I was relating to your example of the pvc. Physics do not allow that rise from just a shift in momentum at the axis. Agreed on the tight hollow transferring the energy from the first part of the kip… however the reversal into an arch (while thinking of driving the feet down) is what shifts the shoulders up and allows you to then return to a hollow and pivot around the bar. Not momentum – rotation. My wording is horrible. What I’m saying is, just by rotating at an axis, regardless if it’s a broomstick, you, or an airplane propellar. The axis will not move. You have to add force to that axis to get it to move. Physics. Totally not trying to disagree about this method. It obviously worked for at least one person, so why would it not more. Just my view of what I think changed in in your bmu. And no problem! You put it out there, and I love talking CrossFit gymnastics.